Everyone deserves a vibrant main street in their neighborhood that is clean, safe and accessible. From potholes to parklets, the City of Los Angeles offers dozens of city services that any Angeleno can access to take the lead in transforming his or her street. The DIY Great Streets Manual will be your how-to guide for dozens of City services that you can tap into today to take the lead in making your street a safe, accessible and prosperous public space. Una versión en español estará disponible en junio de 2017. Please submit your name and email to download the manual. That way we'll be able to get in touch with you when we make any updates or changes to the manual based on your feedback. Thank you! You can now download the DIY Manual! 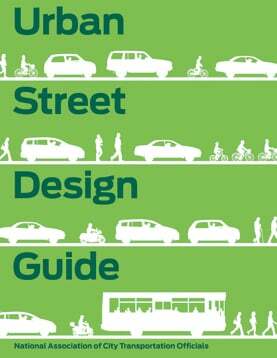 We aspire for the DIY Great Streets Manual to be a living document that can be updated and refined as we learn more about how people use it! Please share any feedback you have on new services you'd like to see included, things that could be clarified, or anything else! Just drop us a note over at our Get Involved form. Ready to take the next step in transforming your street? Many Great Streets partners in Los Angeles and across the country have developed manuals, toolkits and other resources that are designed to help cities, residents and organizations rethink their streets as public spaces! Got a great resource you'd like to see us include below? Drop us a line here.